Arcadia in Arizona is a neighborhood in Phoenix. It lies south of Paradise Valley and west of Old Town Scottsdale. Arcadia is not only in Phoenix; the eastern part of Arcadia is located in Scottsdale. The area has a unique irrigation system that allows for citrus groves to thrive in Arcadia. This area began as a neighborhood in the 1920s with five acres lots going up for sale. In 1960 zoning was passed to keep the area residential. One of the popular places for residents in this neighborhood is Herberger Park. Tennis enthusiasts can enjoy the tennis courts while residents can gather for meals at the picnic tables. The Biltmore Fashion Park is at the edge of Arcadia and features high-end shops in a garden setting. Besides the big-name shops that shoppers will be delighted with, there are some great restaurants for fine dining. The Phoenician resort on 60th Street has a 27-hole golf course. Camelback Mountain is within view of Arcadia, and easy access to Camelback Mountain Echo Canyon Recreation Area is between Arcadia and Paradise Valley and has great hiking trails. The neighborhood also has a good selection of lounges and wine cafes. Real estate options include newer homes and custom-built homes from the 1920s to 1950s, which have been both maintained as well as updated through the years. Some of the remodelings have created quite a diversity in homes. Once similar homes have become individualist, even to the adding of a country style cottage next to a stucco Spanish hacienda. Because of the natural boundaries of the Arizona Canal and Camelback Mountain, the area is popular for its quiet and low traffic. Many families are finding this attractive. There are some larger properties, some with close to five acres, and rarely below half an acre, in the luxury resorts. Besides the large lots, many have pools. When you take into consideration the lush landscape, the beautiful homes, and the sense of quiet and privacy, you will see this is a must consider destination for home buyers searching for homes in the Scottsdale and Phoenix areas. If you would like more information on Arcadia in Phoenix, Arizona, please contact us today and allow us to assist you. 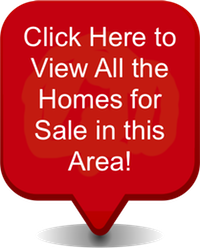 Access all Arcadia homes for sale and real estate here. Properties in Arcadia are updated daily from the MLS, so be sure to return here for the newest listings for sale in Arcadia.